It must be falsifiable (this is really a critical one that is often misunderstood). This means that there must be a way to determine if it’s false or incorrect. In other words, if you can’t consistently do the exact same thing and get the exact same results, then you falsified it – you proved the idea was wrong. If you do the same thing over and over again, and it always gets the exact same results, then you proved the concept is right! But if you don’t do enough testing, and do strict statistical analysis (sorry, guesswork is not allowed, nor is your “gut feeling”), then your answer has to be, “Well, I don’t know.” And if that is your answer, you keep testing until you know. Because they’re never measured, tested, or exactly repeatable, it’s impossible to know if they’re falsifiable. And that last point is really the most important one! 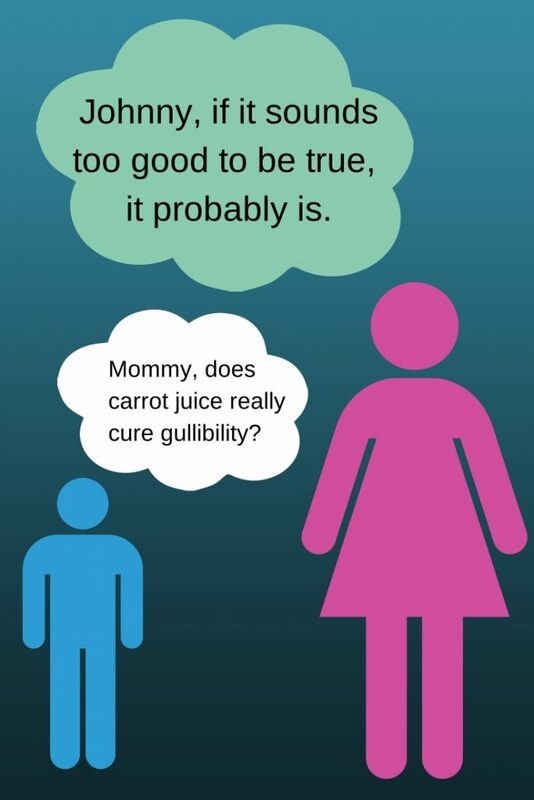 Alternative medicine doesn’t want you to be able to test it, because it can’t take the chance it will be proved wrong. It also assumes (in total contradiction to the first point) that somehow that group can control everything with an iron fist except somehow this minority that “sneaks through the cracks” or something like that. ‘Cause I mean….if they’re that powerful, do you really think they couldn’t squash the huge internet sites like NaturalNews.com or WellnessMama.com? They’re so powerful that they control everything, but at the same time so powerless that they can’t even stop a simple website? Heck, Anonymous can do that any time they want by hacking it! It’s a hilarious contradiction, but people don’t take the time to think it through. Lastly, it somehow assumes that all the hundreds of thousands of people who work in pharmaceuticals and medicine (researchers, doctors, etc) are somehow so dumb and blind, or they are so evil and awful, that they apparently have no clue that everything they’ve spent their entire adult lives on is part of a conspiracy! I mean………c’mon people! You really think that the hundreds of thousands of people with Masters and Ph.D degrees are that dumb and blind? Or they’re all so evil and awful? And all the doctors who use chemotherapy and radiation somehow are evil people who love to inflict torture on people because they’re slaves to the conspiracy? 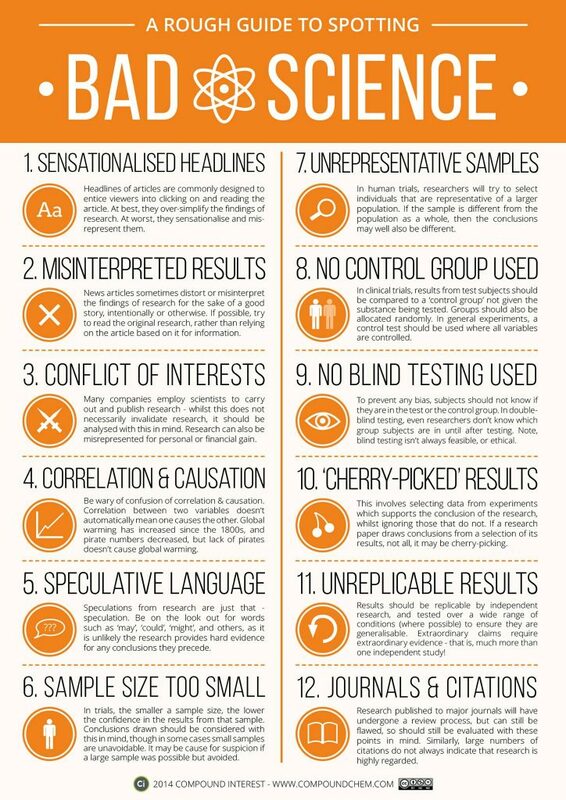 Lastly, it assumes that none of the research that comes out of real science is valid. Well……OK – PROVE IT. That’s the thing about real science, people – it welcomes a challenge! Find the flaws in the methods; find the flaws in the materials; find the flaws in the analysis…..and real science will take note. 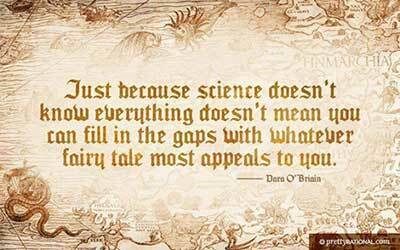 That’s why things in science get better – it’s always trying to do so. Lastly, alternative medicine often likes to tout the idea that “my mom came up with it in her garage,” as if medicine is something you can do like an inventor. Sorry – doesn’t work that way, people. Only this one person/company/group knows the secret and can sell it. I really tend to think that we’ve forgotten a lot of really powerful sayings that our parents use to teach us. It’s so easy for crap to spread on the Internet, and there’s no automatic filters for truth or accuracy, but have we really forgotten about snake oil salesmen and the like? You know the other old saying, “….and if you believe that, I’ve got a bridge in Brooklyn that I’ll sell you for cheap, too!” Or, depending on your part of the country, it might have been some great “waterfront property in Florida (i.e. the Everglades),” or whatever. If a side effect is only found in .001% of the people tried, you have to have at LEAST 1,000 people in the trial to get just 1 person with the side effect. Even if it’s 0.01%, you need a minimum of 100 people. And because you can’t rely on just 1 person having the side effect, you need to see if that person wasn’t just a freak occurrence, you have to do this on many many many people. And you’re not even allowed to try i ton people until you’ve tried it on animals with enough genetic similarity to figure out if it’s worth testing on people. You know, it would be really nice if it weren’t so hard and expensive. It would be great if it were easy. But it’s not. It takes an unbelievable amount of hard work, testing, retesting, analyzing, re-analyzing, testing more, etc. And yes, that’s why it’s expensive. 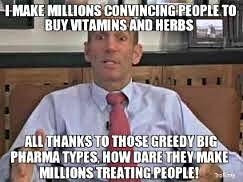 I don’t like it any more than you do, but I sure hope those “Big Pharma” companies are doing the work necessary, and what I do know, is that all those “alternative” medicine sites don’t. Plain and simple, they don’t, so how the heck am I (or you) supposed to trust anything they say? Because they say so? Sorry, that isn’t good enough for me or my family. Anyone has the power to say anything on the Web, whether it’s true or not, and I want a way to find out if they’re telling the truth. REAL medicine has research behind it that is publicly available for ANYONE who wants to see it. “Alternative” medicine doesn’t even have it in the first place, or even if they do, somehow it’s impossible to figure out. REAL research can be tested by other people to see if the first people did it wrong, and if they did, it has to be taken back, which is why there are recalls. 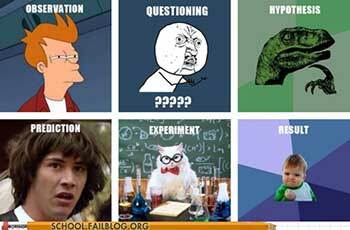 So really…….if you trust holistic/alternative medicine, WHY? What PROOF do they have? I mean…..ANYONE can say ANYTHING on the Web…..can they back it up is the real question.